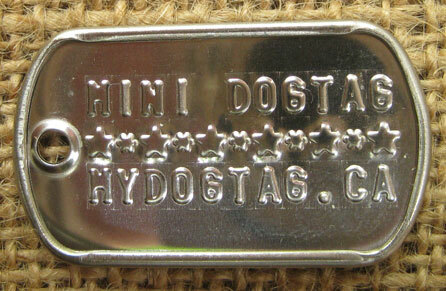 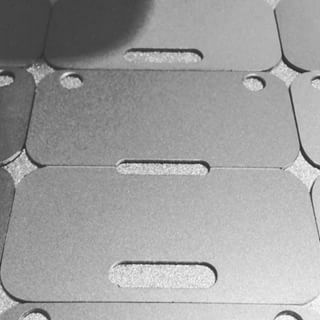 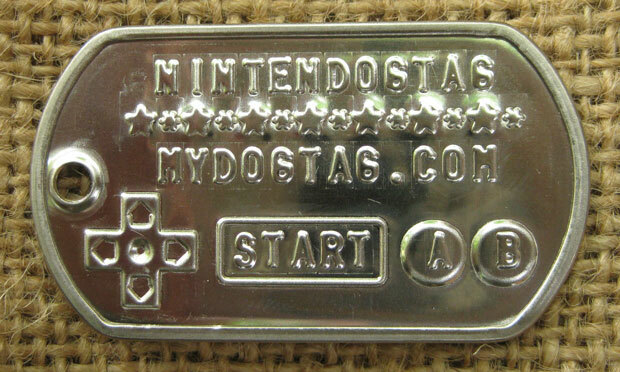 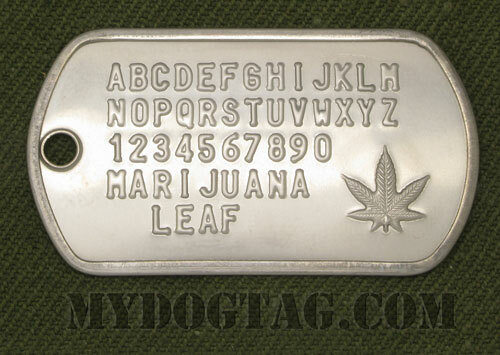 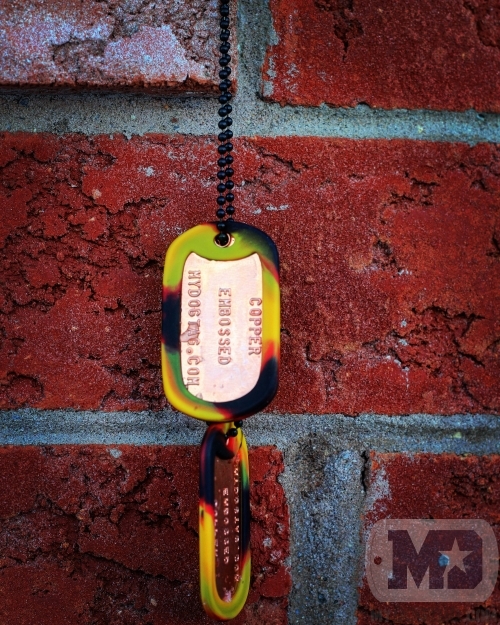 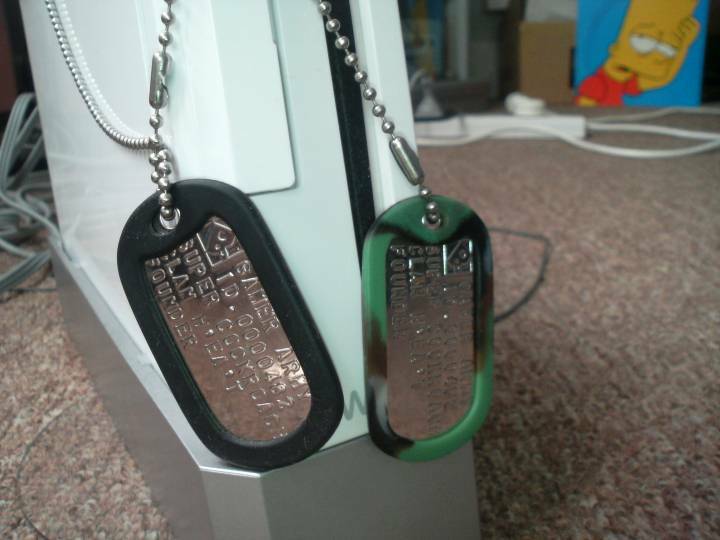 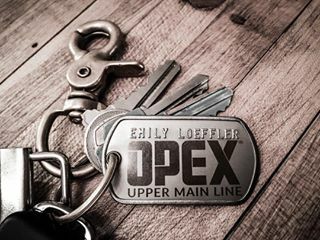 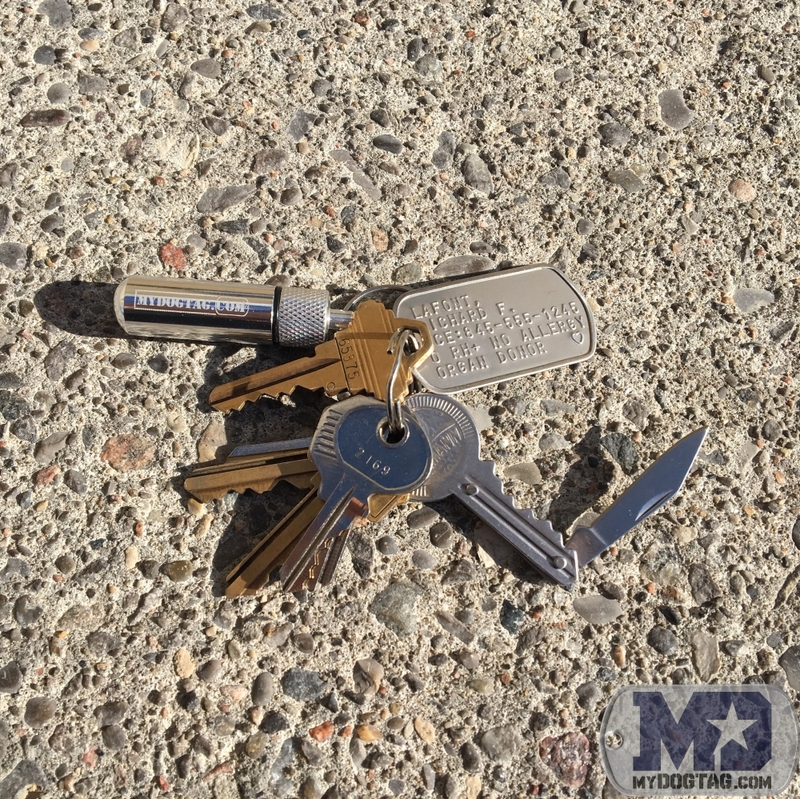 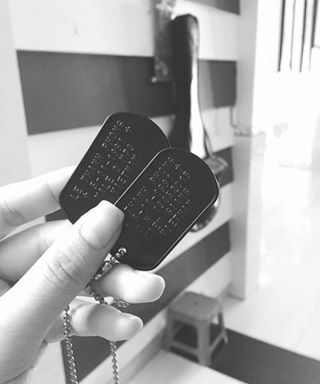 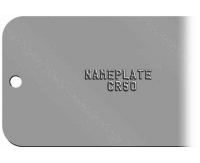 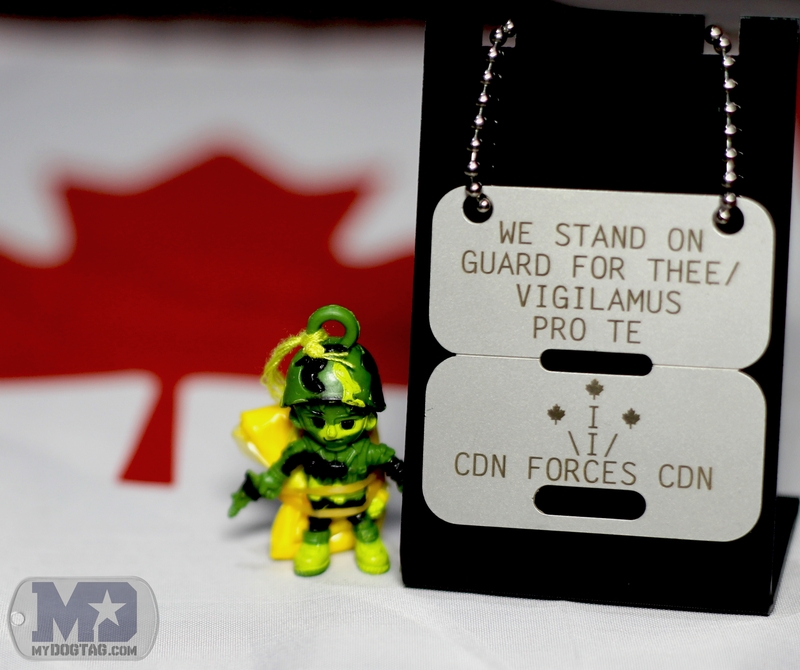 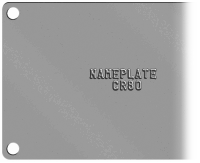 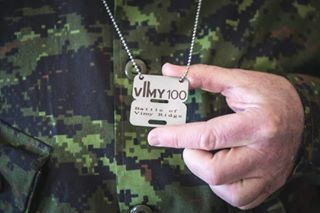 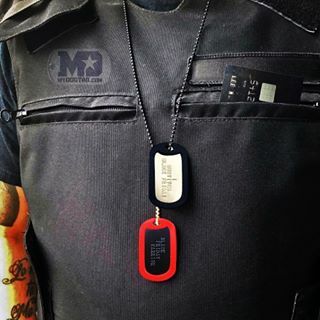 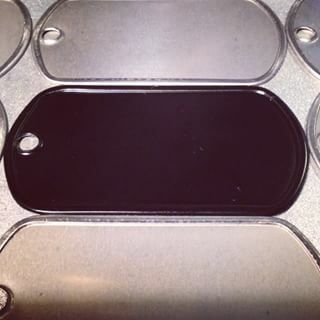 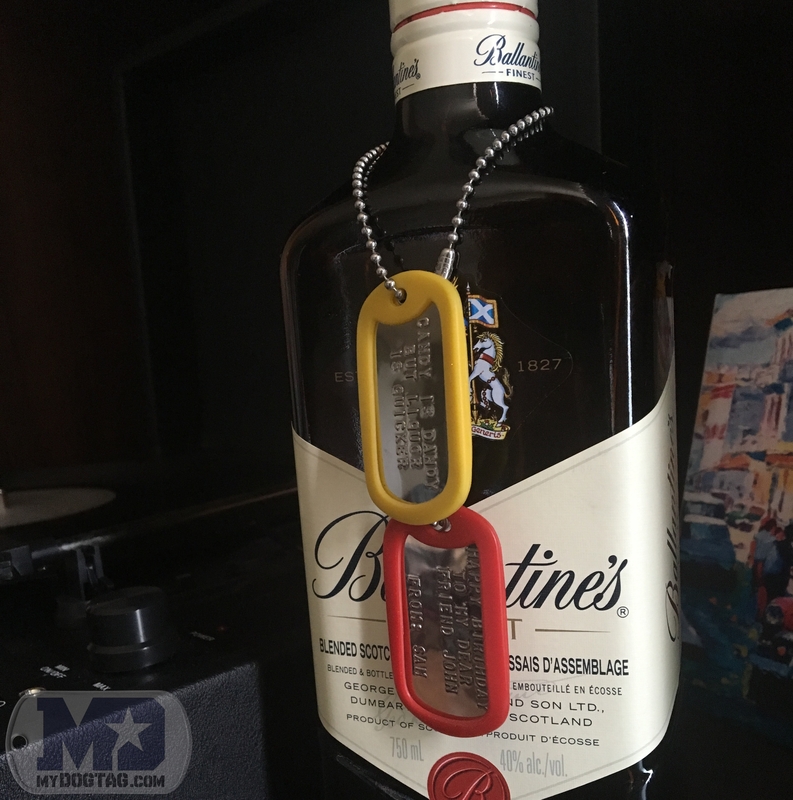 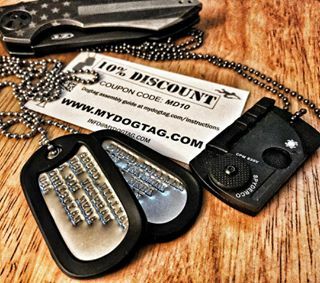 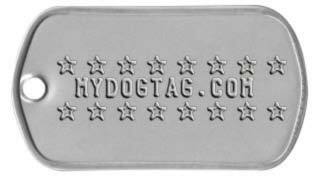 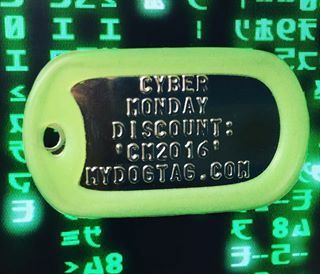 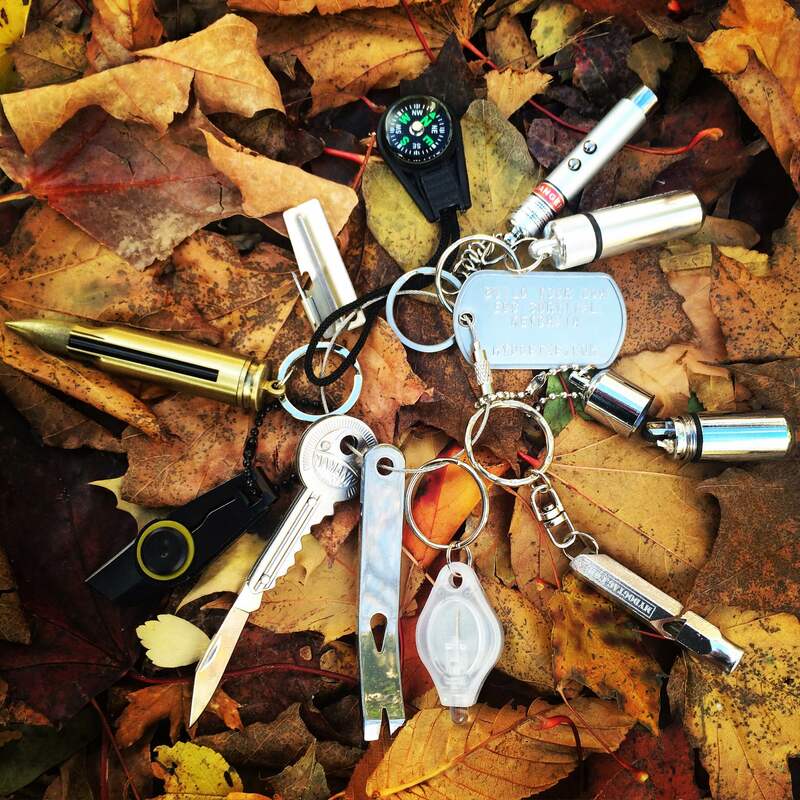 2 Customized embossed Mil-Spec Shiny Dog Tags. 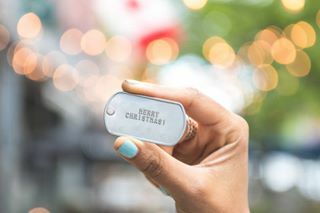 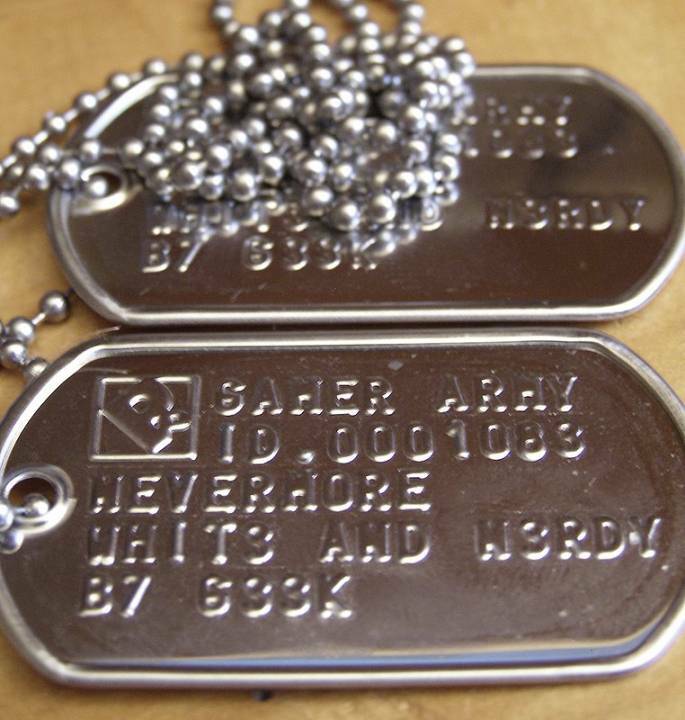 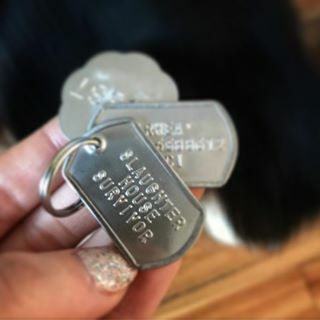 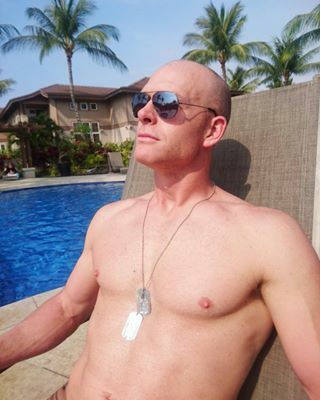 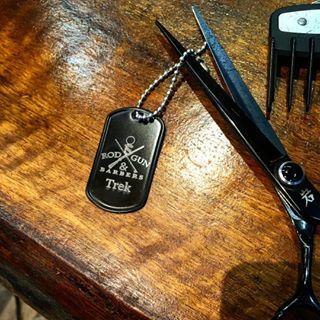 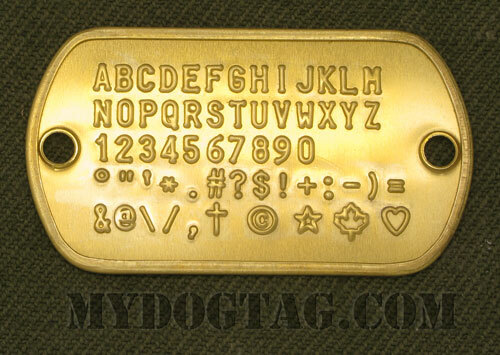 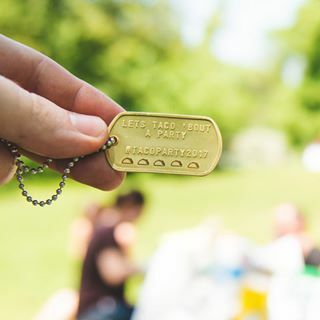 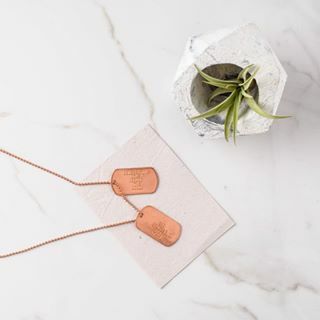 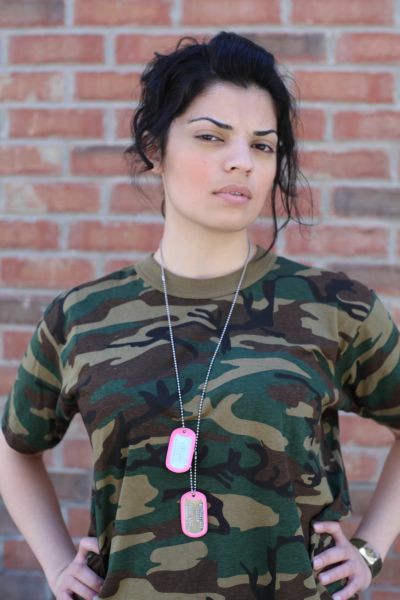 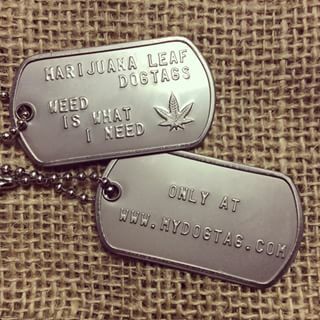 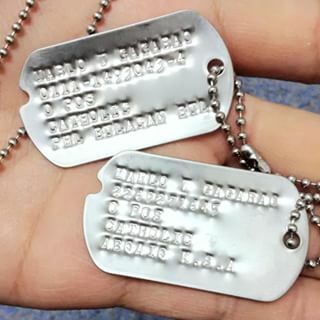 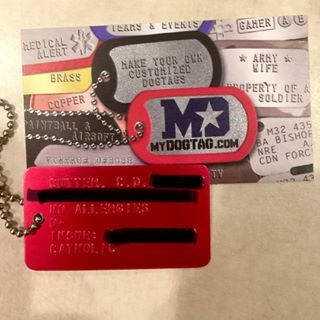 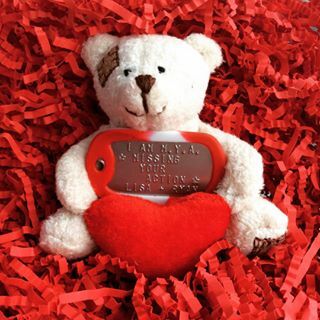 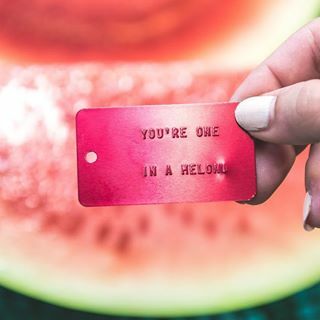 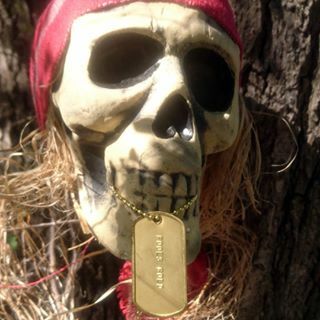 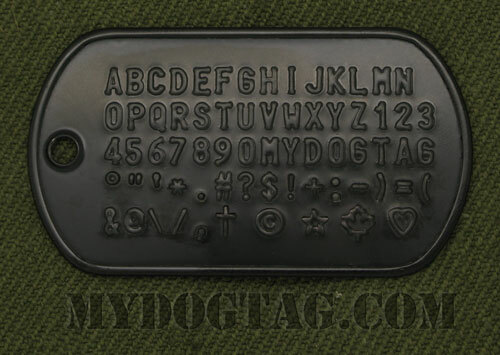 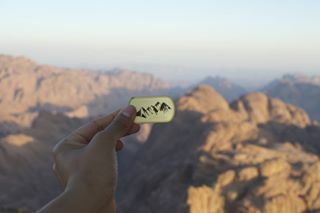 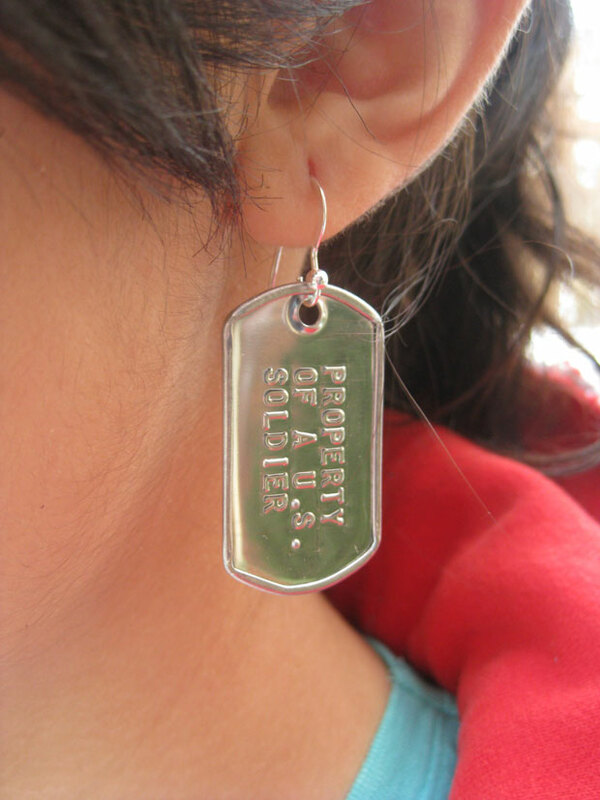 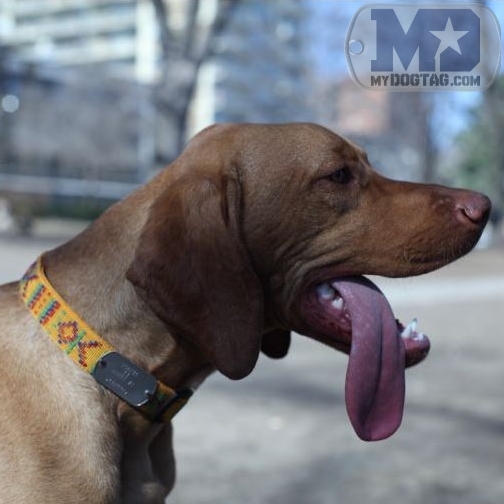 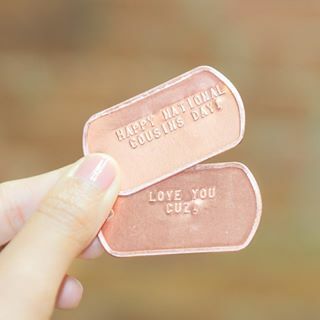 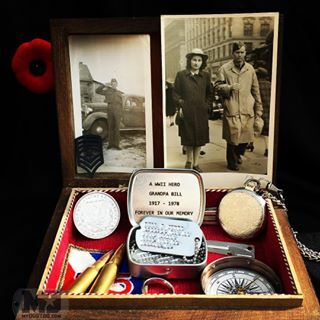 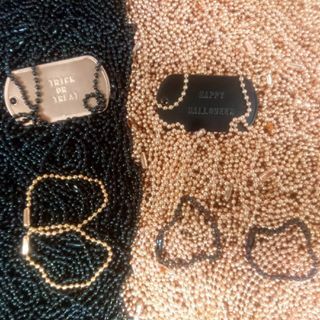 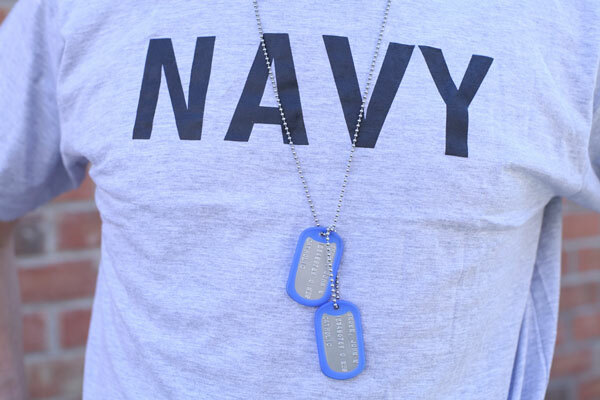 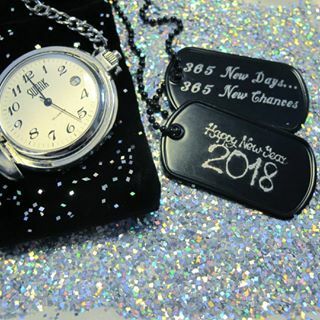 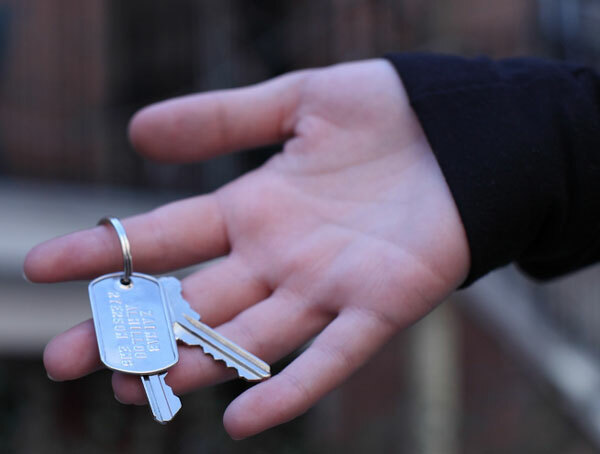 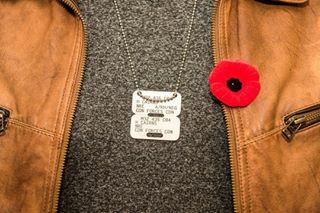 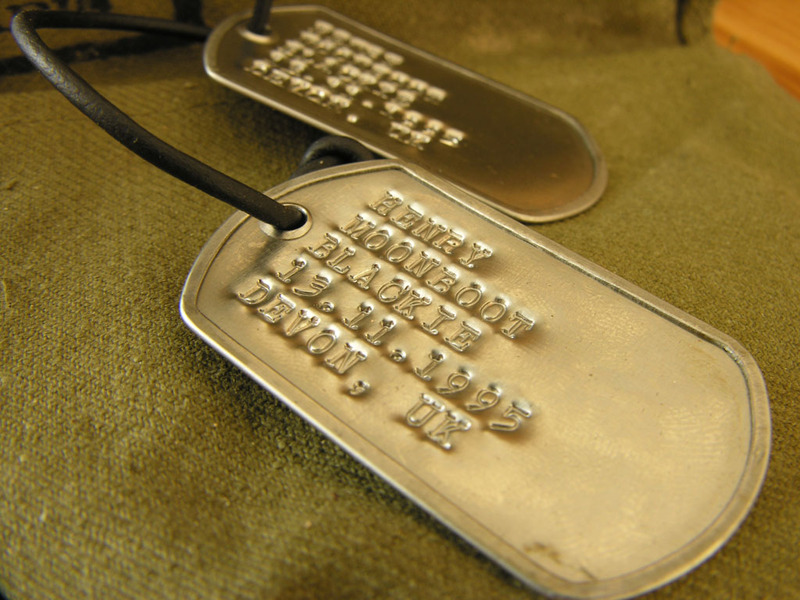 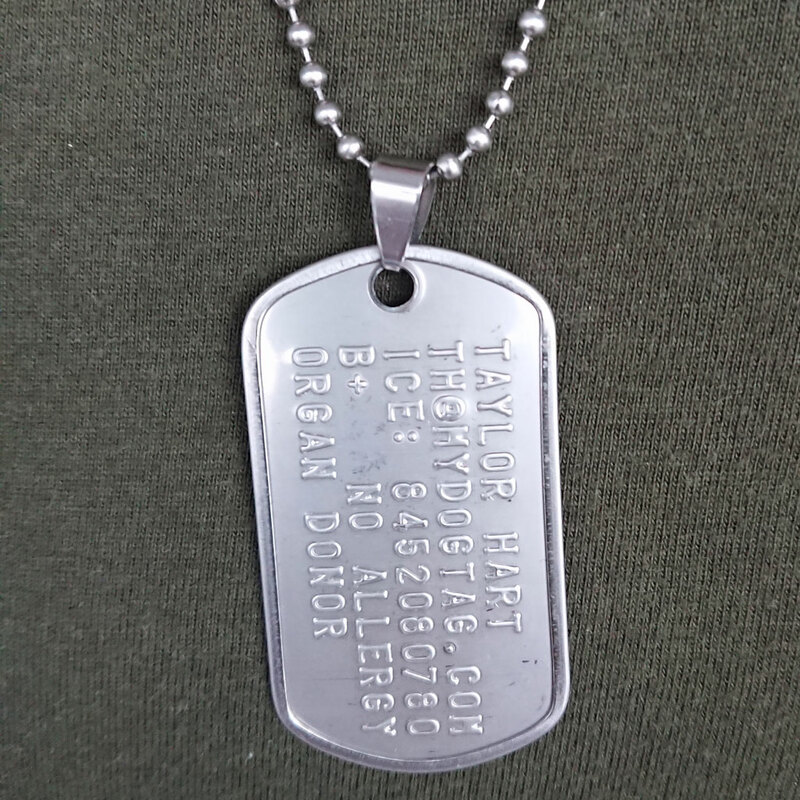 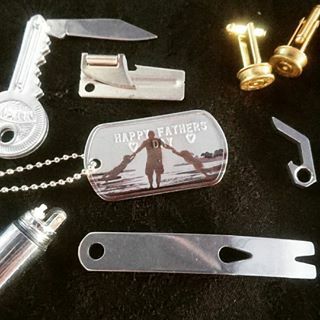 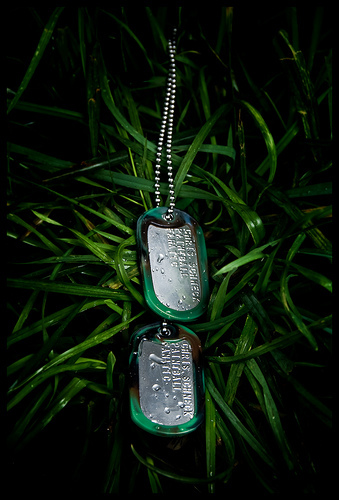 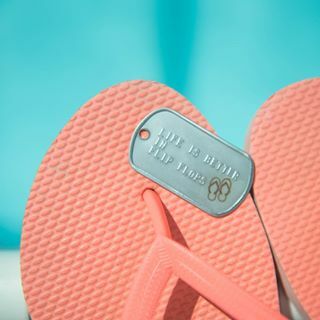 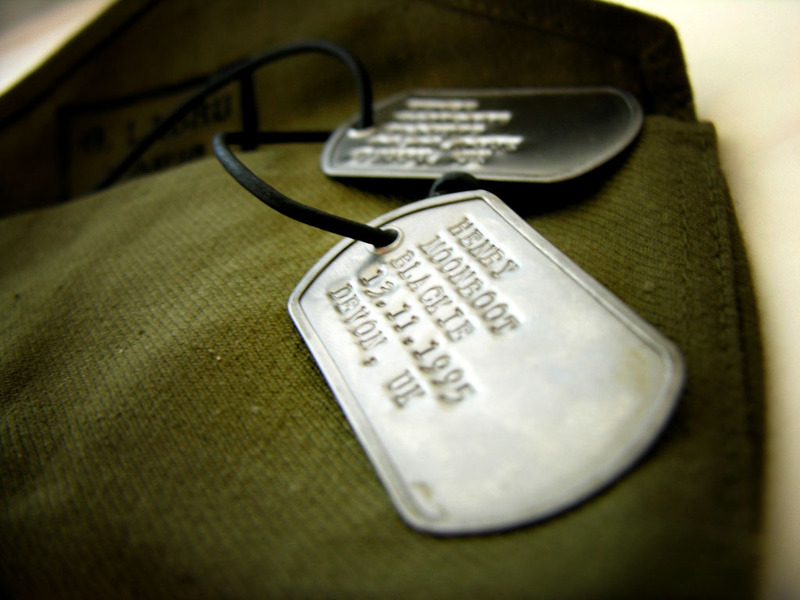 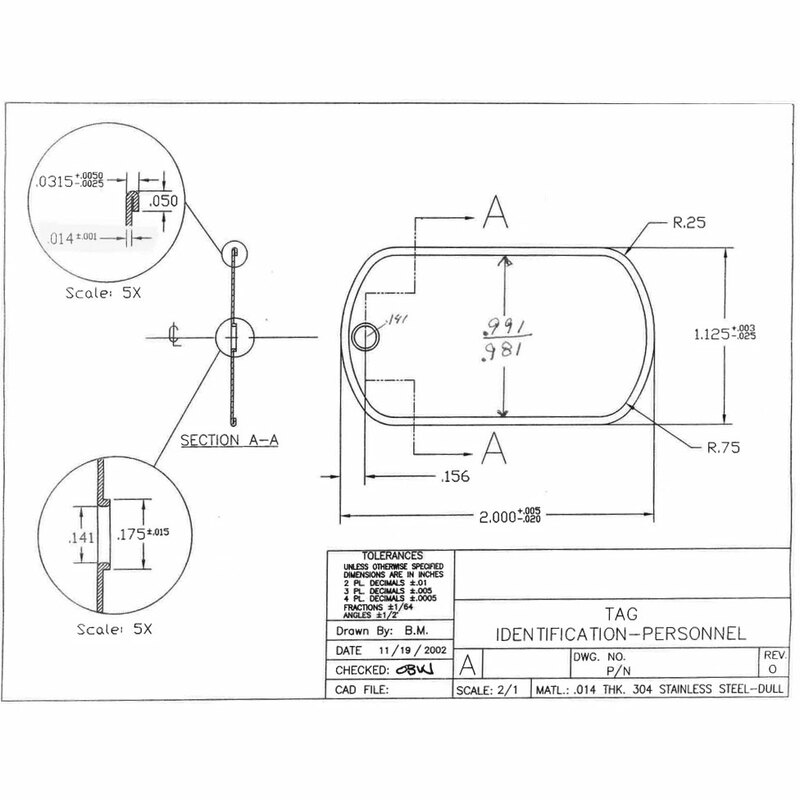 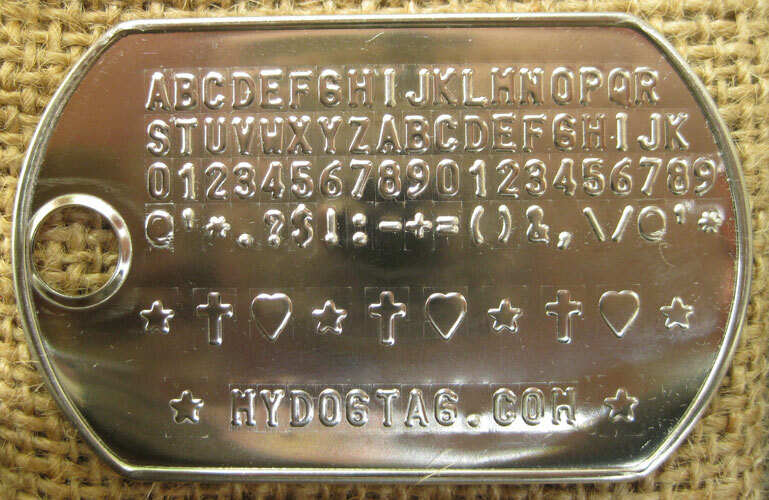 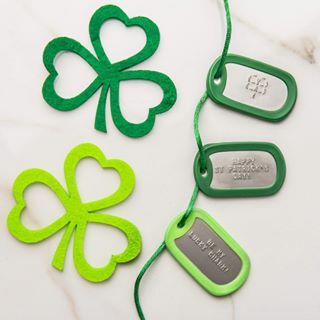 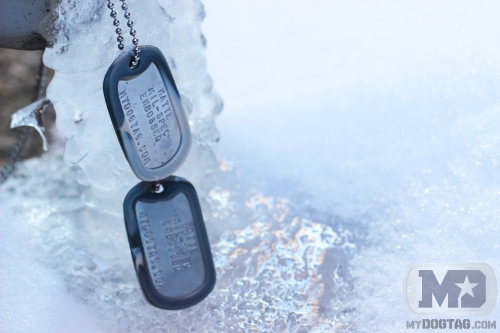 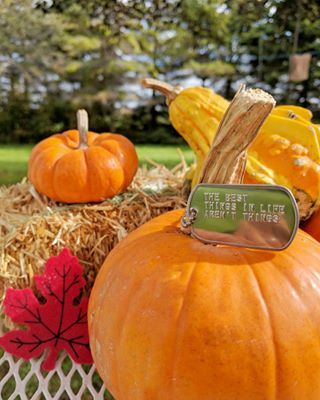 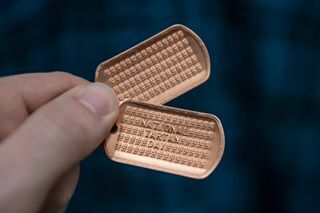 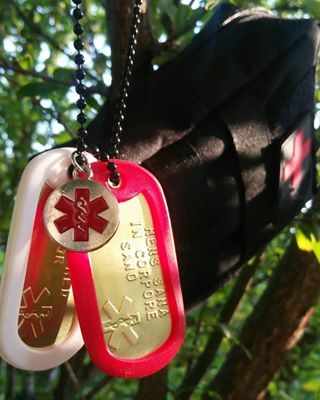 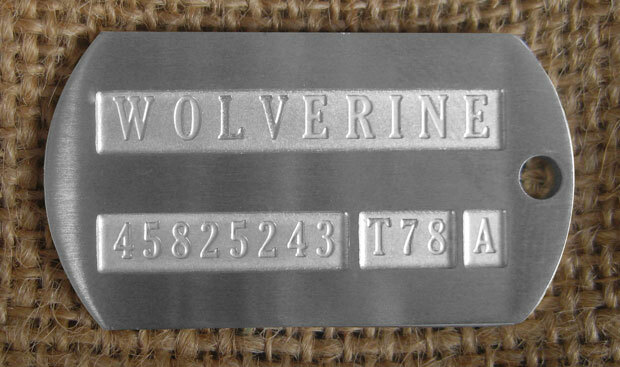 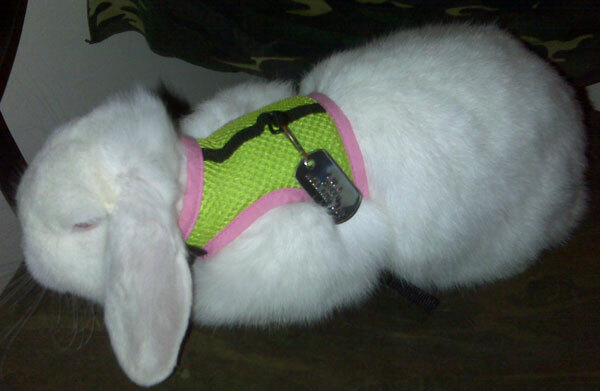 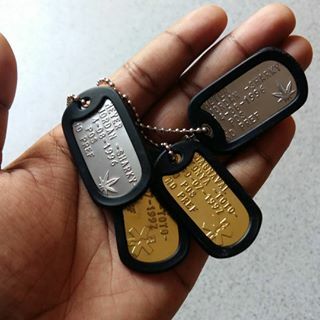 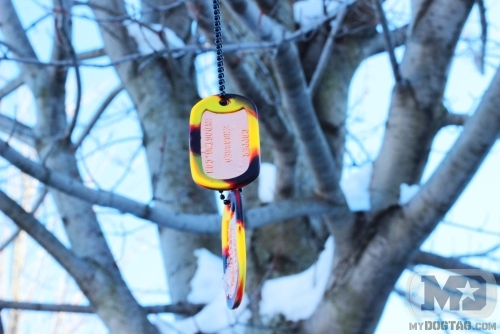 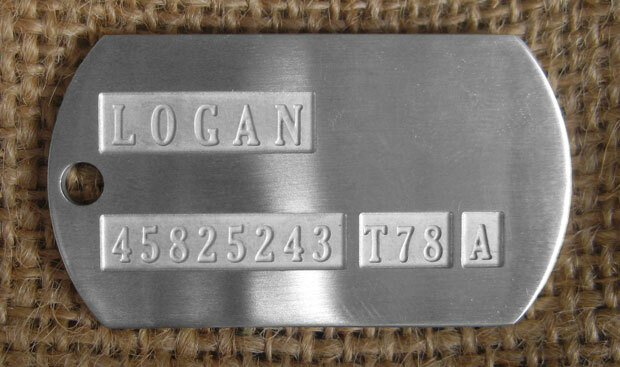 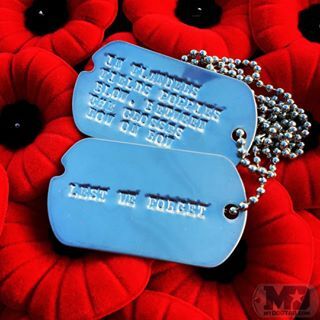 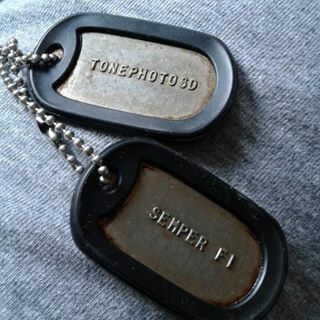 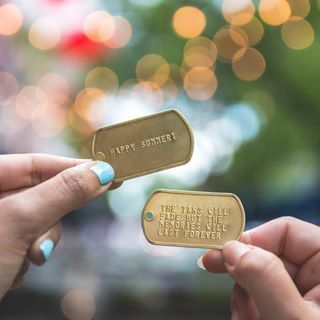 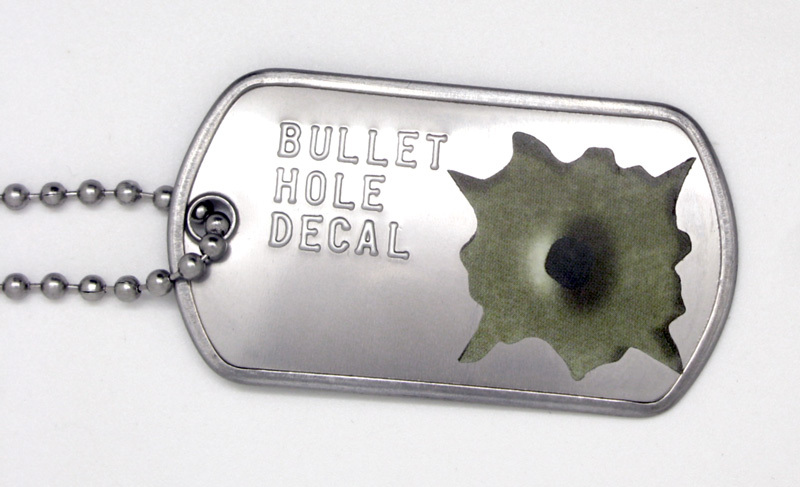 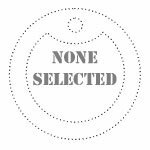 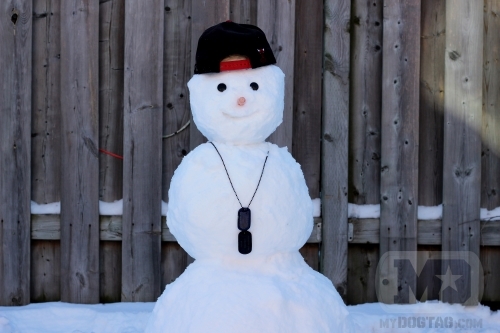 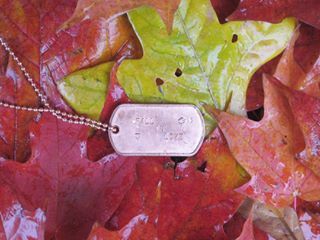 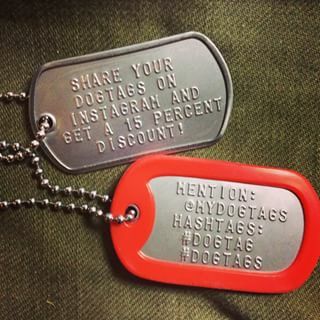 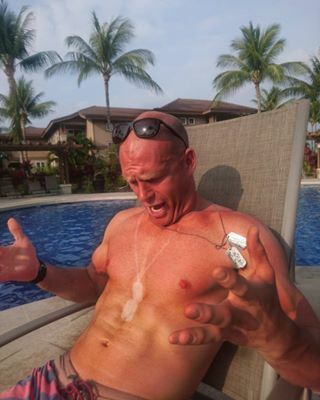 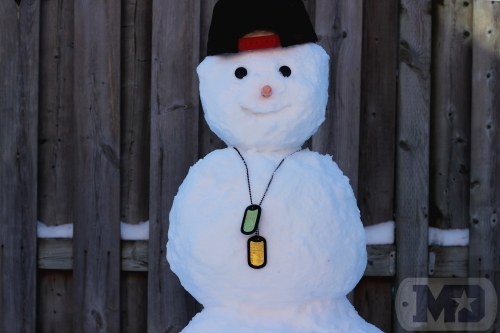 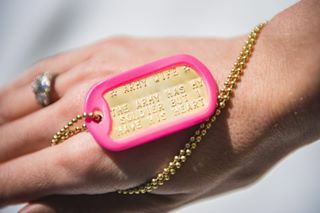 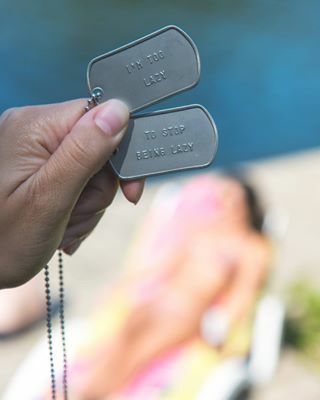 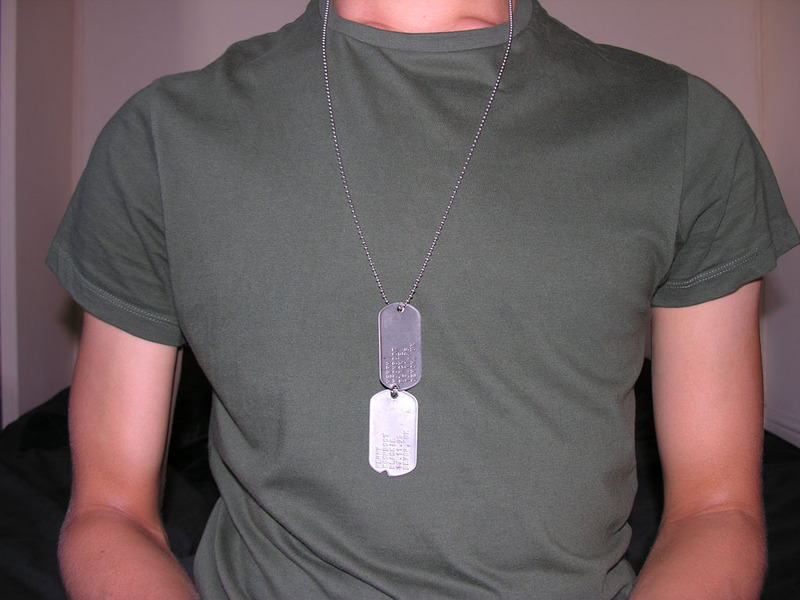 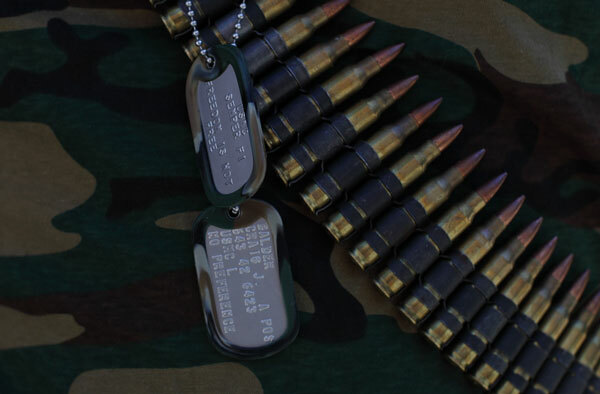 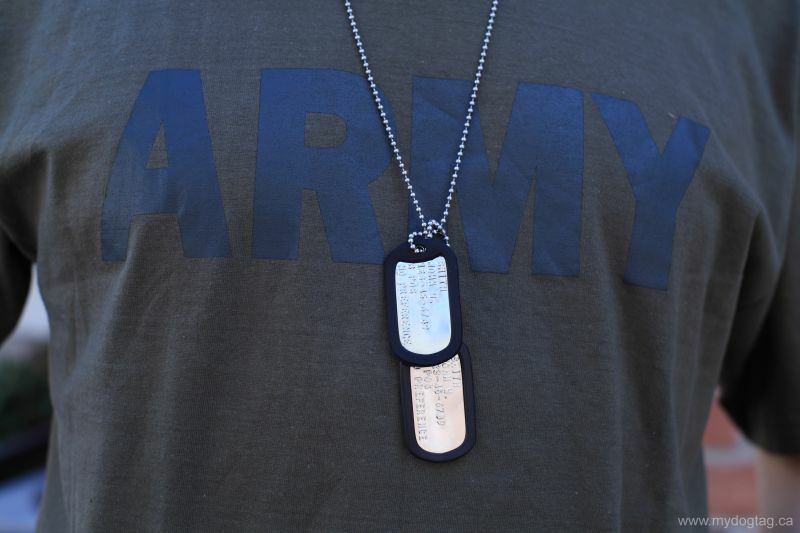 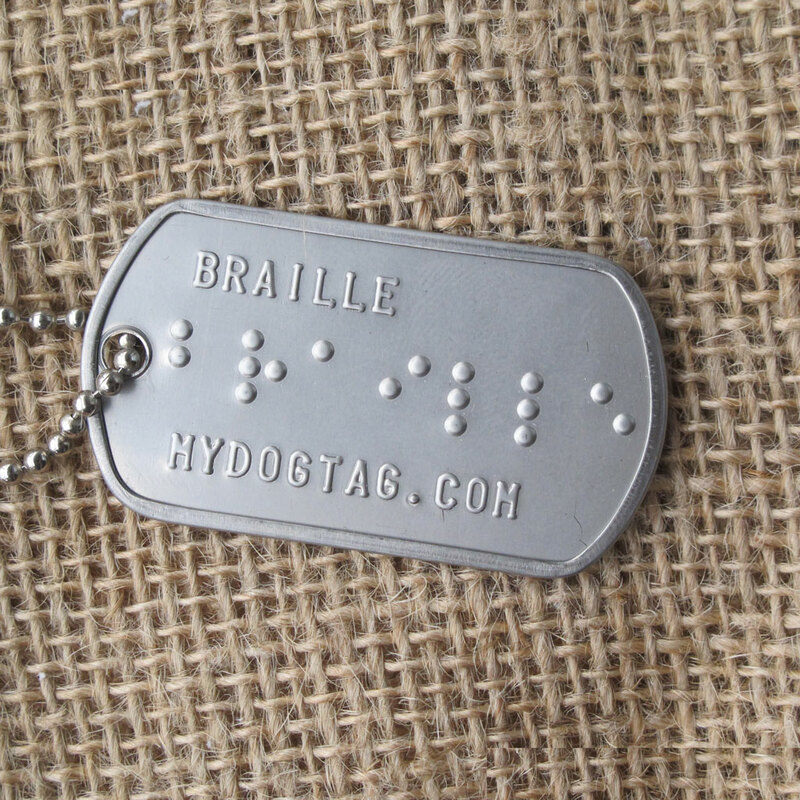 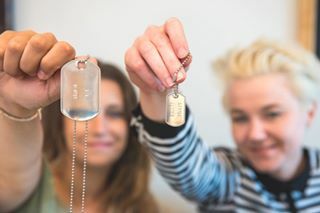 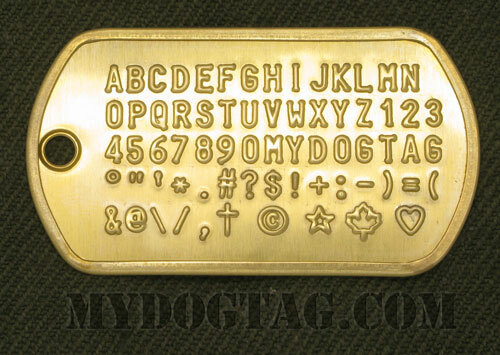 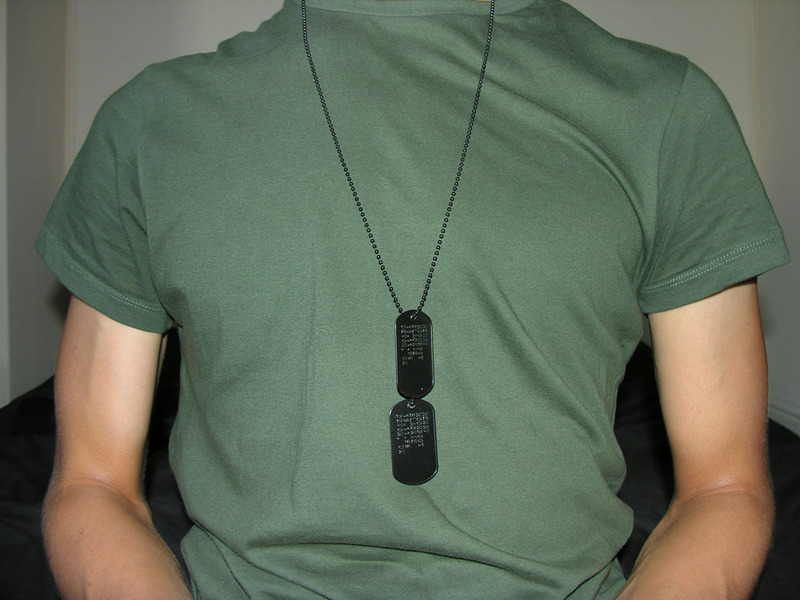 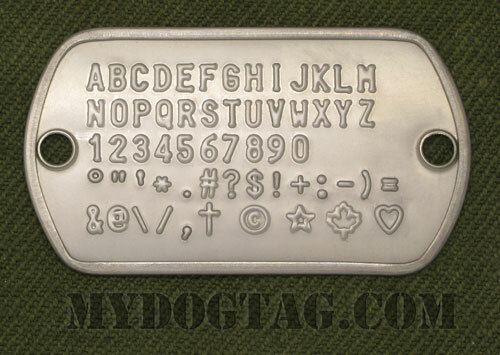 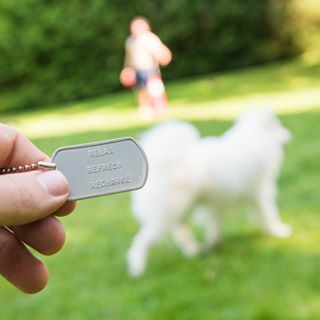 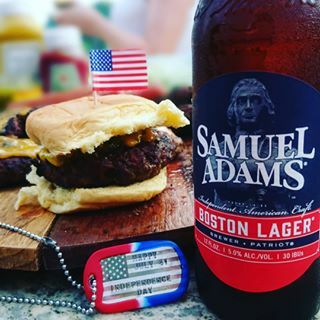 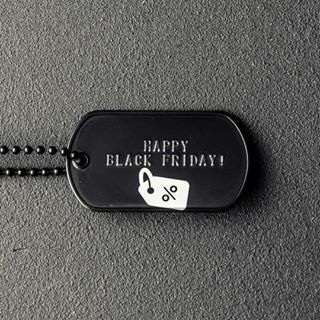 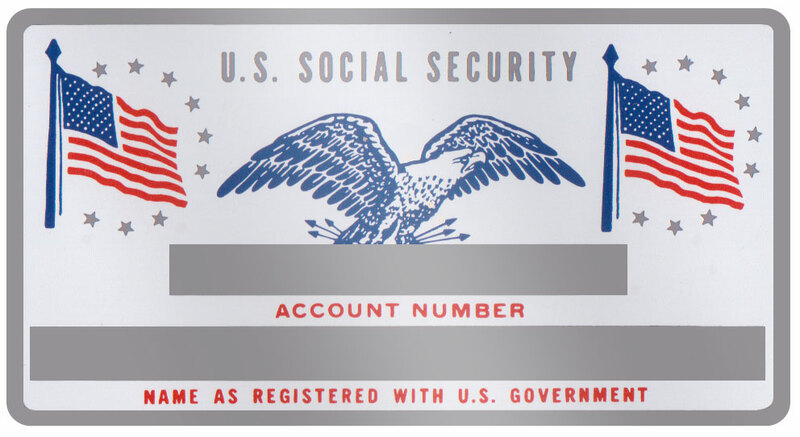 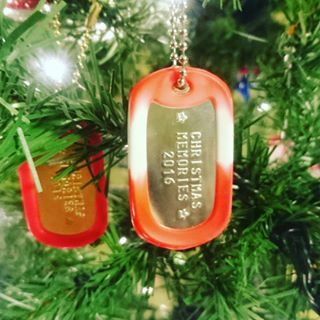 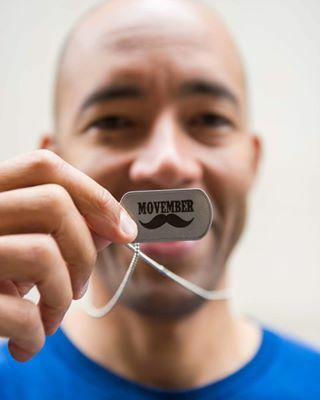 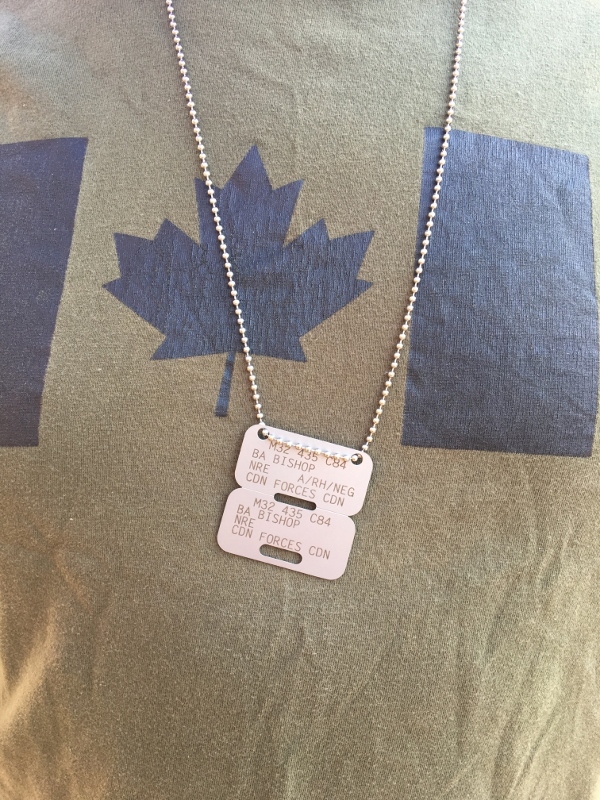 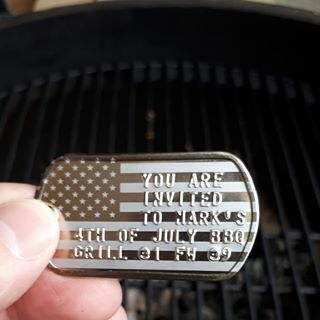 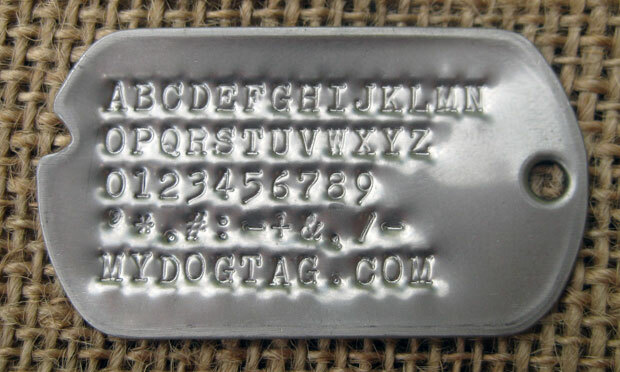 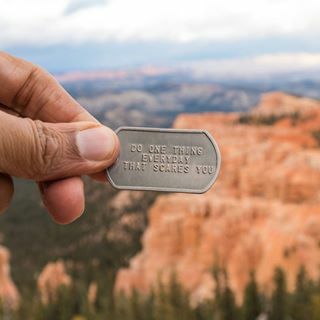 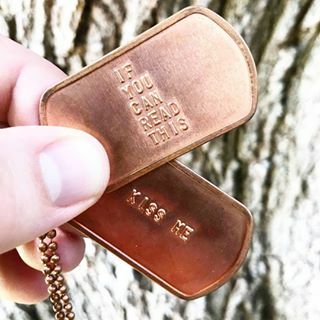 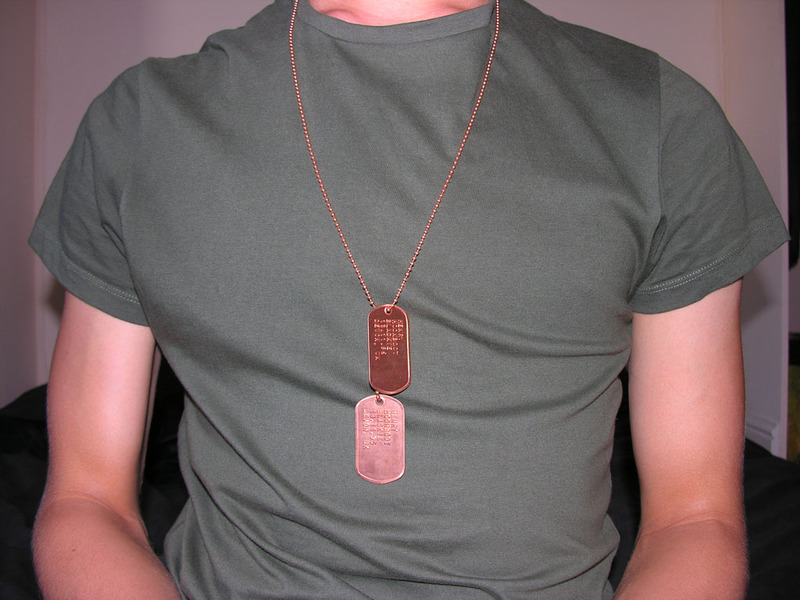 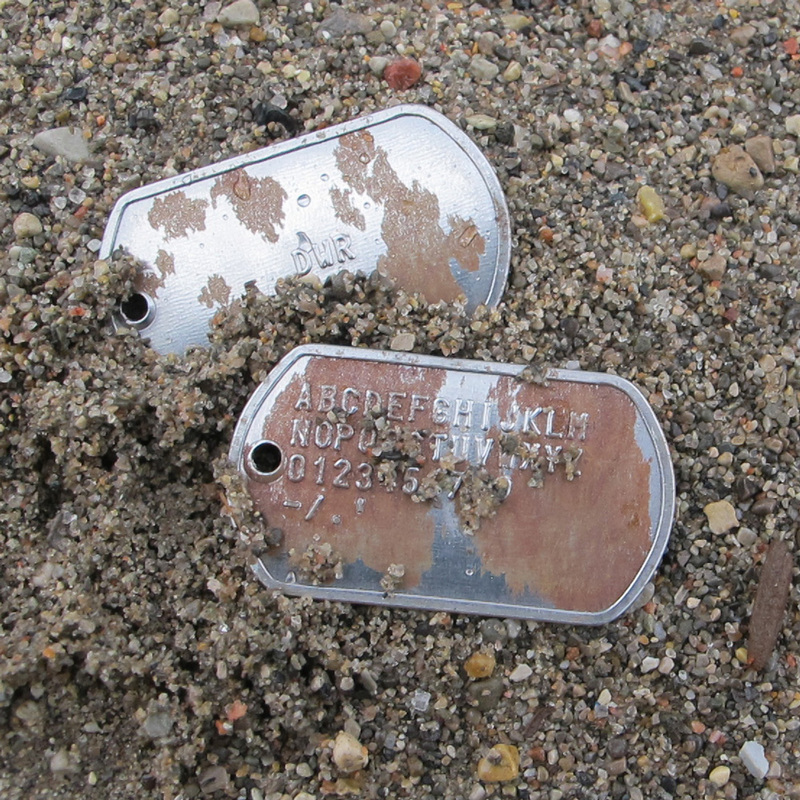 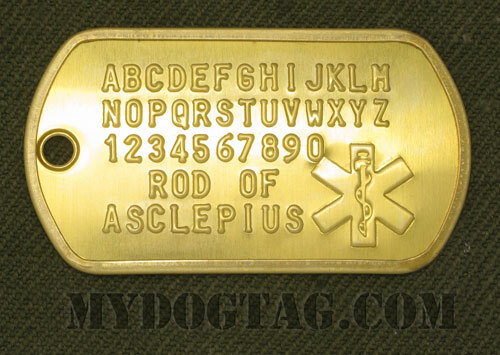 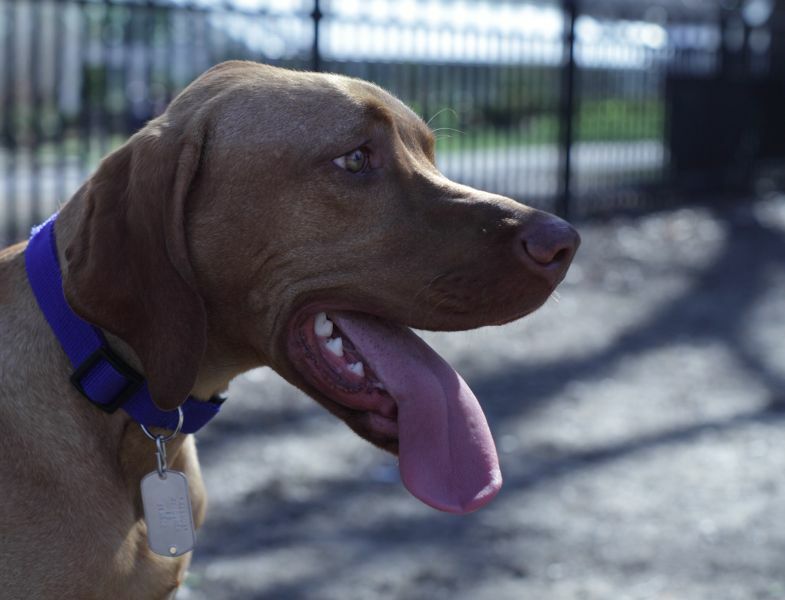 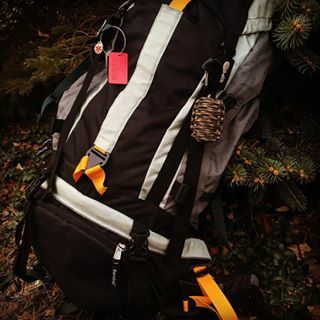 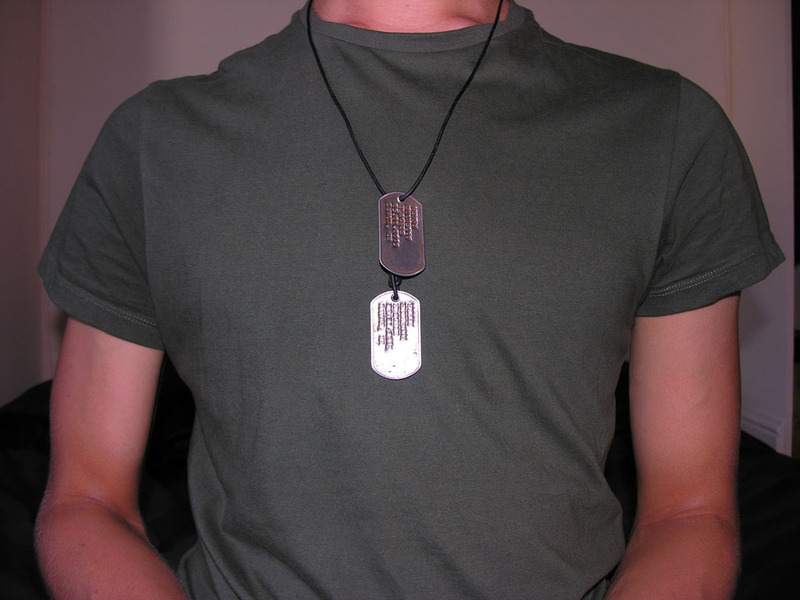 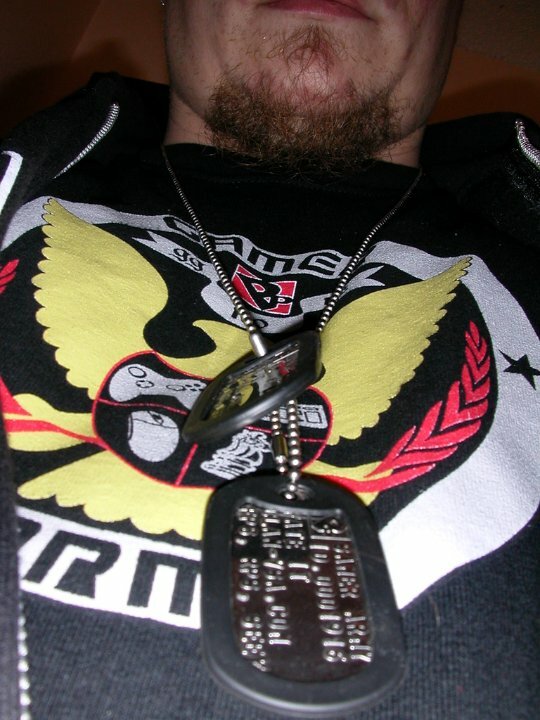 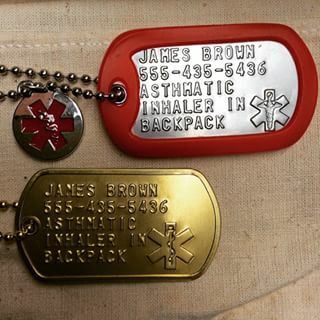 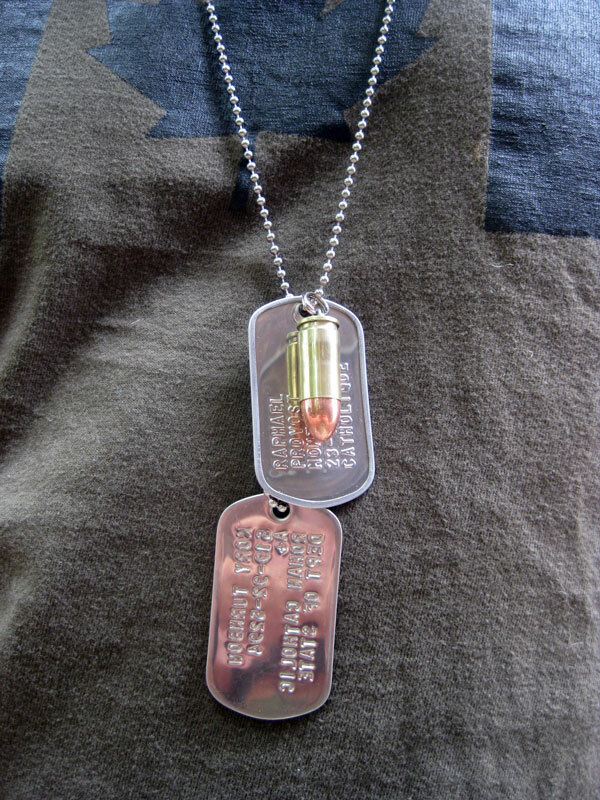 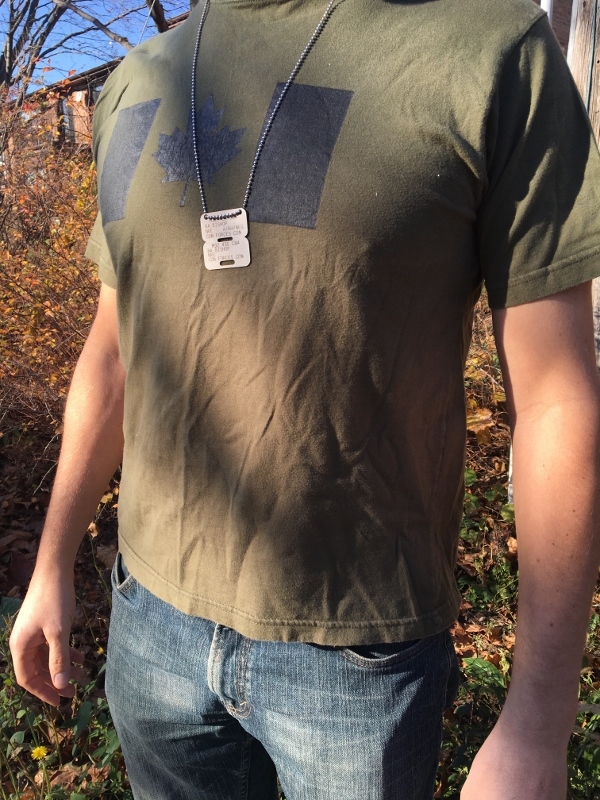 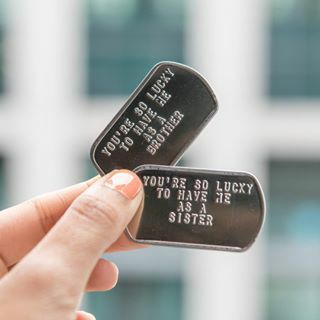 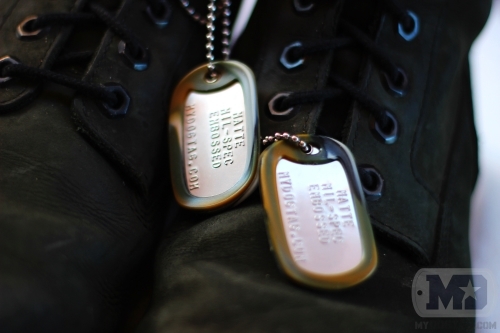 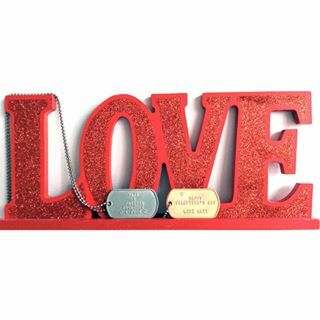 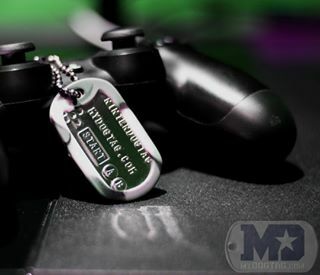 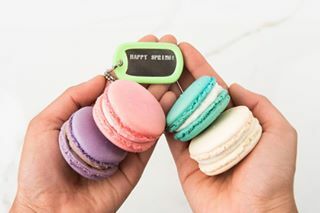 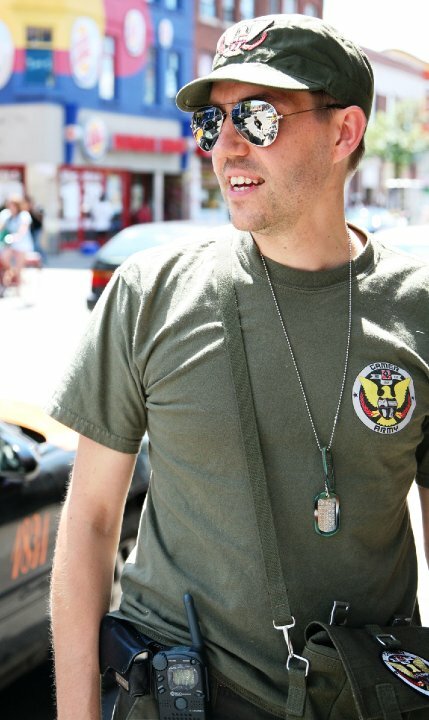 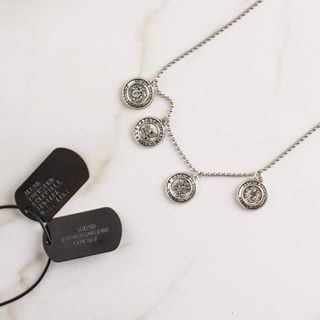 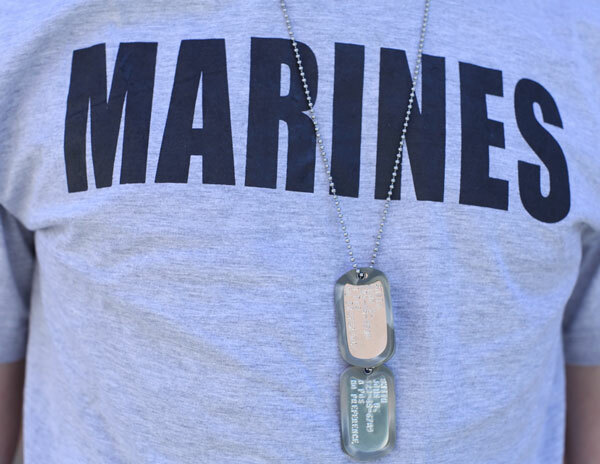 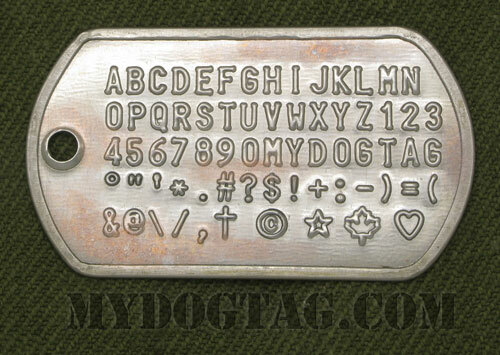 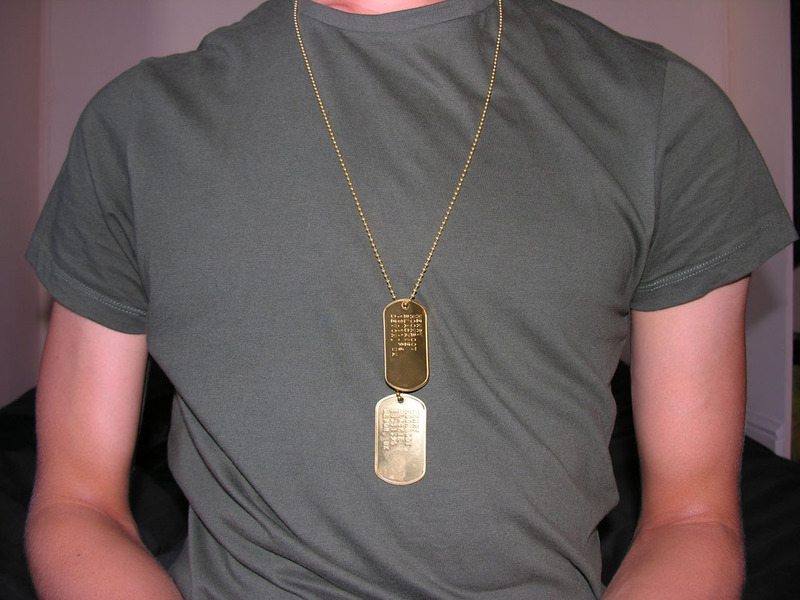 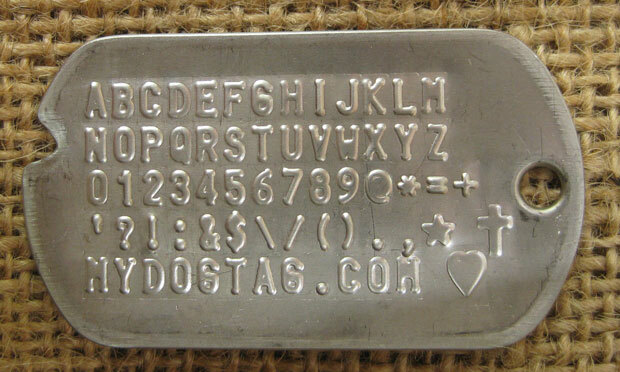 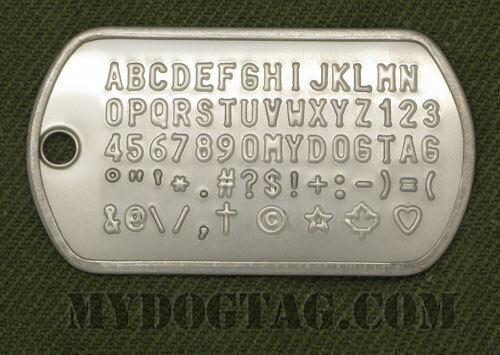 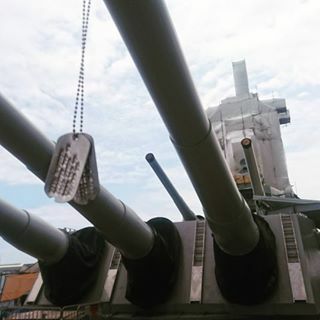 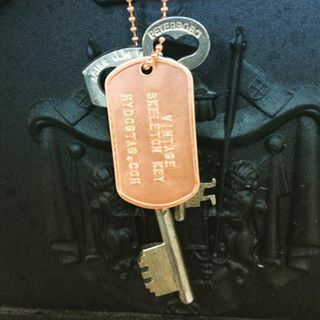 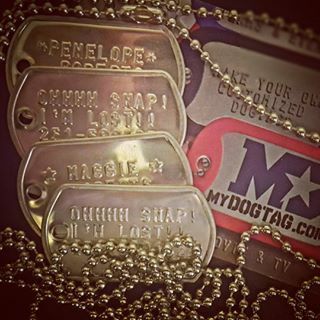 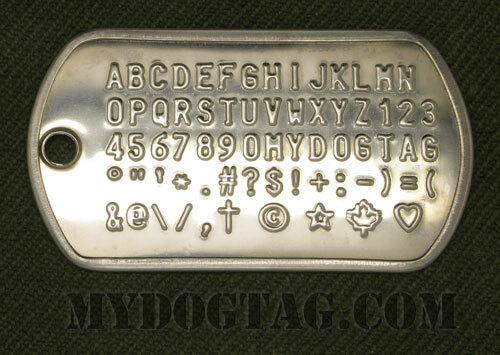 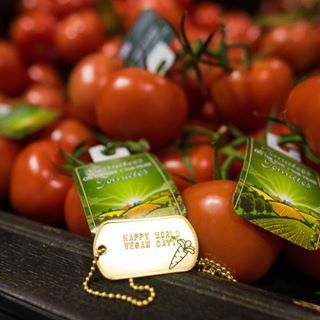 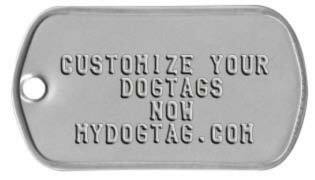 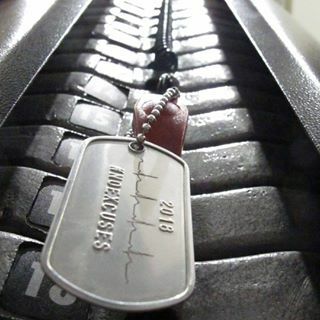 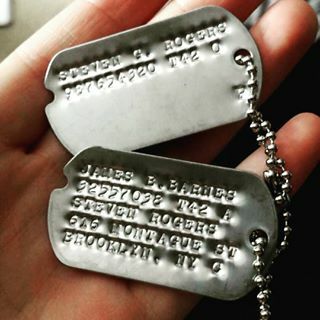 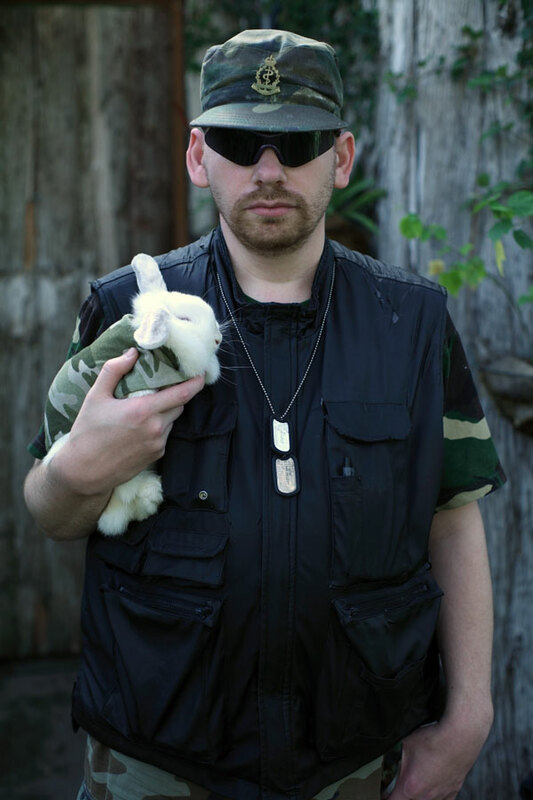 Replace the text in example Army Newborn Dog Tags with your own information! 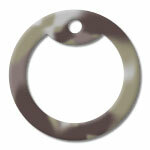 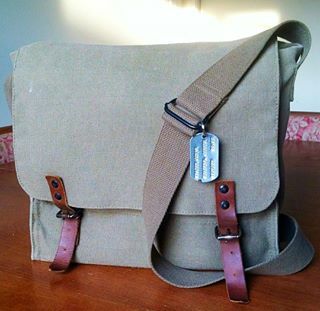 Gray/Tan/Sage Green Army Camoflauge Silicone - Silky smooth texture. 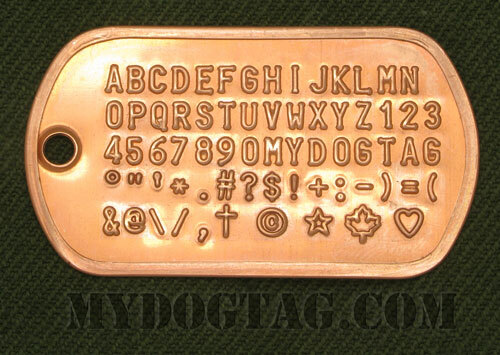 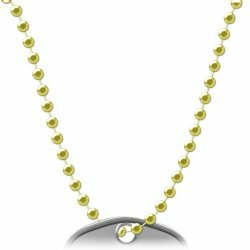 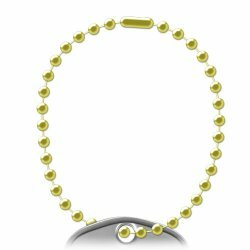 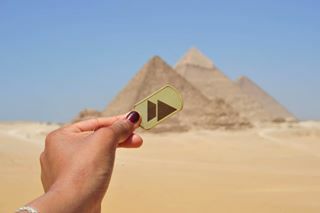 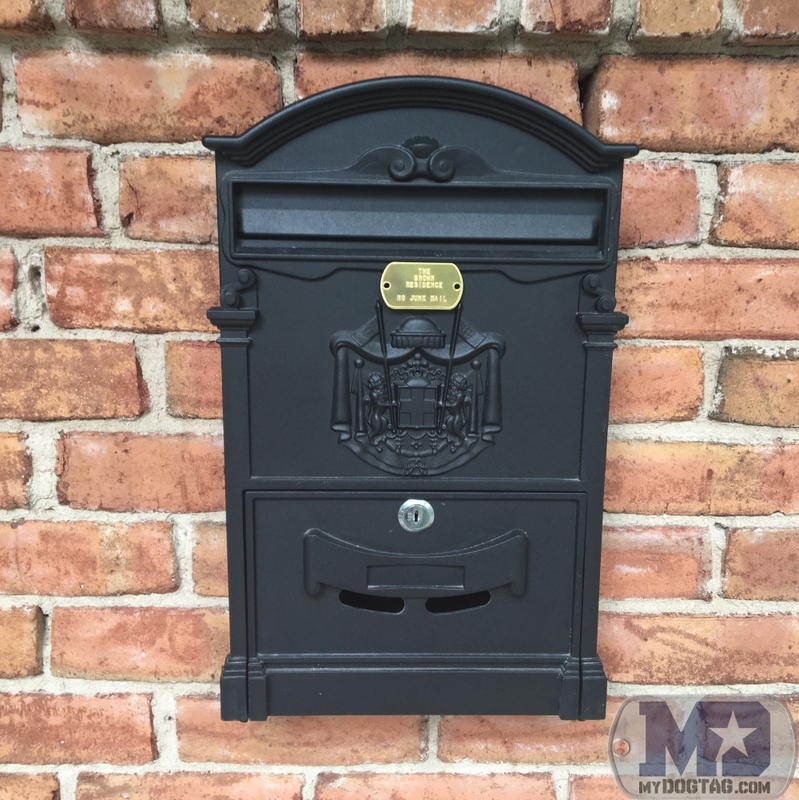 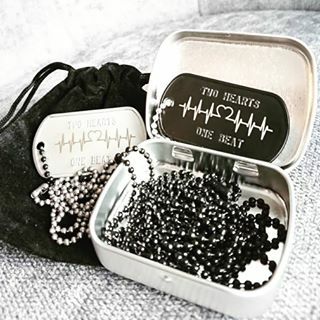 May patinate (oxidize) slowly over time.